This winter, treat your family to a sensational session of jazz music and a decadent high tea at The Pavillion, Arts Centre Melbourne. After the success of the first Families High Tea with Ali McGregor's Jazzamatazz in April 2017, the Arts Centre Melbourne invites you to groove with your little people in an afternoon of musical delights this winter. Art Centre Melbourne's Jazz High Tea's run on the first Sunday of the month until December. Grown-ups are treated to a glass of Azahara sparkling on arrival, after which you will all enjoy some of Australia’s best jazz vocalists and musicians while indulging in house-made cakes, pastries, savoury treats and freshly brewed tea. Alinta and the Jazz Emperors bring soulful jazz grooves, an infectious sense of humour and extended joy-infused improvisations. Alinta is a stunning and charismatic singer. She’s starred in many musicals such as West Side Story, Dusty Springfield, Singing’ in the Rain, Showboat and Mamma Mia! The Jazz Emperors are five very fine musicians led by saxophonist Remco Keijzer. He graduated from Manhattan School of music in 2003 and moved to Melbourne in 2009. Ever since Remco has been a driving force in the Australian jazz scene leading his own originals quartet. The Jazz Emperors are not just a group of highly skilled musicians, the band is always more than the sum of the parts. 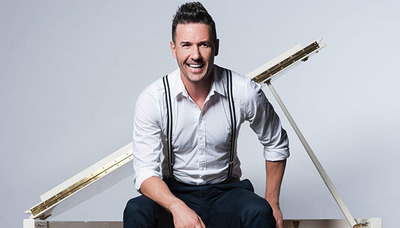 Michael Griffiths brings some serious acclaim to Jazz High Tea, having won the Helpmann Award for Best Cabaret Performer in 2016 for Cole and having been nominated for a Green Room Award for Best Supporting Actor for his performance as Bob Crewe in Jersey Boys. He has also appeared in Priscilla Queen of the Desert, We Will Rock You! and Shout! and delighted critics and audiences across every cabaret festival in Australia with his acclaimed one- man cabaret shows In Vogue: Songs By Madonna, Sweet Dreams: Songs By Annie Lennox, Adolescent and Cole: The Life and Songs of Cole Porter. 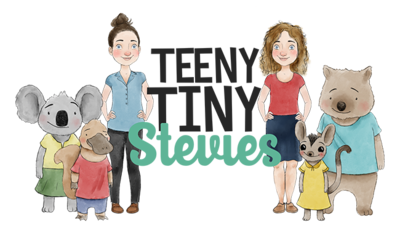 Teeny Tiny Stevies had their beginnings as a side project for sisters Sibylla and Bethany’s folk-pop band The Little Stevies. A children’s music project quite likely different than anything you’ve heard before. It all began when Sybilla’s (Byll’s) first child hit ‘toilet training’ age. When she asked childcare if there were any books or songs that might help introduce the idea of going to the toilet she was handed just one, pretty basic, storybook. After an online search revealed even less inspiring musical options, the penny dropped - they should write their own. And so the idea was born. They would create a children’s album in which every song included would be useful and practical, starting with going to the toilet on the toilet! Identifying other ‘challenges’ young kids face universally they decided to use each one as a topic to write a song about. Nostalgique brings together four of Melbourne and Italy’s richly diverse jazz musicians in a love affair of European song. Swing, bossa, tango, waltz and bolero. With beautiful stories and songs from Brazil, Germany, Spain, France, to Russia from the likes of Serge Gainsbourg, Edith Piaf, The Barry Sisters and The Andrew Sisters, jazz songbird Tamara Kuldin serenades us this evening with the flair of nostalgia and the evocative musicianship of Jon Delaney (guitar), Salvatore Greco (accordion) and Jonathan Zion (double bass).